The people of Scotland have enjoyed playing golf for over six centuries. Scotland is fondly referred to as the home of golf since it literary gave birth to golf. Unlike many countries where golf is a preserve of wealthy and famous men, in Scotland, golf is a game for all and sundry. Since Scots people started playing golf in the 19th century, they have not stopped. Scotland offers her people an estimate of 550 golf courses. Curling was first hatched in 1541 and gained popularity in 1924 in Chamonix. The close association between Canada and Scotland led to the foundation of Royal Montreal Curling Club. Other countries like the United States of America, Sweden, and Switzerland later followed sway and formed their curling clubs. Presently, curling is widely gaining recognition and acceptance in many countries like Japan, Australia, Korea, and Newzealand. The first global football match to be played was between Scotland and England. The game, which ended in a 0-0 draw, attracted over 4000 spectators. It was played at Hampden Park. That was the first of the many football matches that Scotland has played throughout the world. Glasgow boasts of being the home of football in Scotland. The first bicycle in the world, made of wood, was produced in Scotland in 1839. Perhaps the desire and curiosity to explore the beautiful and spellbinding sceneries in Scotland motivated Scots people into cycling. One can say that Scotland has one of the best landscapes for cycling and mountain climbing. 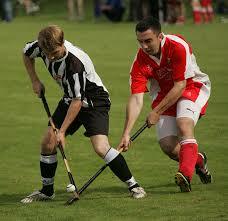 Shinty is a physically involving game played using a stick and a ball. Winning in shinty means hitting the ball with a wooden stick. As a game, shinty originated in Scotland in the 6th century. The game was used to coach medieval warriors in readiness for imminent war. Shinty has metamorphosed over the years although the excitement with which it is played is just the same. The most revered players of shinty in Scotland are Newtomore and Kingussie villages. Scotland was awarded her first shinty cup in 1895. The first global rugby league was held in Scotland. Since 1879, Scotland has been playing with England year in year out. It is so popular in Scotland that some people identify more with it that they do football. BT Murrayfield Stadium, a vast and magnificent field, plays host to rugby matches in Scotland. Scotland’s rugby team is renowned for completing all rugby world cups. In 1539, King James V built tennis courts at Falkland Palace. Until today, the tennis courts are in existence. It is believed that King James VI and Mary, the queen of Scotland, played in the same courts. Today, Andy Murray enjoys the glory of being a proud winner of an Olympic Gold and two Grand Slams. Golf, curling, football, cycling, shinty, rugby and tennis are some of the sports activities that have made Scotland stand out. This post brought to you by our friends at Megah Pressure Washing. They are seriously the best Pressure washing Augusta ga has. Check them out! Scotland is a country that has many distinctive traits. From its kilts to the whiskey breweries, this small and rugged nation has provided many well-known additions to the global culture. But, when it comes to sports, there is little doubt that the same nation provided the world with the most famous leisure sporting activity: golf. As a modern game, it originated in the 15th century Scotland, from where it soon traveled all over the world. In the middle decades of the 20th century, it was already an established phenomenon that allowed millions to enjoy clean air, beautiful picturesque scenery, and some exciting sporting competitions. Today, the impact of the nation that invented the very sport of golf is hard to measure. There is little doubt that Scotland’s impact on golf is immense, but some facts could surprise even those people who follow the sport regularly. Here are the main facts about the influences of this nation on the global sport of golf. While there were many games that were somewhat similar to golf which reached back to ancient times, only one truly global game emerged from these and it came about in Scotland. Its first historical mentioned dates back to 1457 when it was banned because the ruler, James II believed it interfered with the learning of archery. 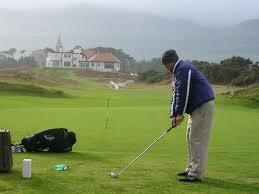 By, 1764, the standard game of golf that utilizes 18-hole system was established in St Andrews. From that point on, the game of golf did not look back and first spread across the Anglo-Saxon world, from which it conquered gradually the rest of the world. That is why today, every golf game that is played is played by the Scottish rules. In 2014, golfers living in the United Kingdom spent £4.3 billion on their sport, which is almost 15% of all consumer money spent on sport. At the same time, golf institutions paid over £990 million in the tax form to the UK government. The turnover of the UK golf industry was about £10.3 billion for the same year. Even though these figures represent the entire UK, it is Scotland which possesses most golf clubs and where the majority of these funds, according to the population, were allocated. The same funds are a clear proof that golf has to be a huge industry which does not only allow people to enjoy their sport but also employs people and supports the nation through paying taxes. A clear proof of this idea is the fact that over 12,000 individuals are employed in the Scotland’s golfing industry. As an example, Scotland should be used by other nations who are willing to expand their own golfing industries. Scotland left a mark on the game of golf also in the fashion that is associated with this sport. From golfing shoes to plaid trousers and distinctive hats, all about the game is classically Scottish. Today, the same sense of style is accepted all over the world, no matter where the game is played. Here, the impact of the Scottish nation of the game is undeniable from a single glance at the way people who play it are usually dressed. Because of these facts, there is little doubt that Scotland’s impact on the sport of golf was not only defining, but also a source of a lasting legacy that continues to this day. Hurwitz Law is THE place to call if you need a domestic violence attorney – we appreciate the support you give to this site and to your clients! With documented evidence of the sport having been played in Scotland as far back as 1541, there can be no doubt that this sport owes a lot of its progress to Scotland. This is the birthplace of this sport, and it is in this country that the sport was played for the first time. Its invention is basically in this country and it is due to this that this sport boasts of its origins. Scotland’s impact on curling is felt world over and it is due to this that it boasts most of the success that has been achieved in this game. These roots of this sport being in Scotland and the evidence of all the documents that are found here about the sport, it is prudent to say that Scotland is truly the motherland of Curling in the world. Although the sport was taken to Canada where it has been really popular, there is no denying that the Scottish settlers who brought it to Canada got it from Scotland. The Grand Caledonian Club that was instituted in the year 1838 to oversee the progress of the sport through formulating rules that would govern how it was played, this is basically what brought popularity to the game. The law of the four by two system was brought about and this gave even more ground for the game to flourish and by the year 1860, there was no denying that this is what the future of Curling was. It is due to this law that the game emerged strongly and it picked quite well in Scotland and the rest of the world soon followed suit. The discipline of the players too became perfect and the eight men in the rink would wait for the ball in harmony. The popularity of the sport gave rise to medals o the teams that were now emerging and controlled competitions had to be brought up. This is what promoted the game in the counties and you would find teams forming up by the day which would eventually become famous. The first indoor rink was built in Scotland back in 1907 and this even further heightened the solidification of the game in the world. After this first indoor rink, the emergence of the one at Edinburg and Glasgow was basically a must. These is basically what prompted the game to be even more famous and for people to accept it all over. In the 1936 Winter Olympics, The Great Britain Team walked away with a gold medal and this even further made Scotland a household name in this sport. Scotland has by far the most number of any rinks than any other country in the world. Boasting of 22 rinks in total across the whole country, this is one place that this sport owes everything to. There is a lot more that Scotland has contributed as far as the development of this sport is concerned that can’t all be documented but the fact is that Scotland is the motherland. This is why Scotland’s impact on curling is very huge compared to any other country. If you are looking for a fantastic workers comp attorney oakland ca call on Ratto Law – they’re ready to fight for you! Scotland’s impact on rugby dates as far back as 1871 where they played England. Having won numerous competitions for a long time now, it is no secret that this is one of the most influential nations when it comes to the sport of rugby. They currently rank 9th in the world, and this success is mostly attributed to the fact that they have been in this sport for as long as it has always been there. Their contribution to the development of this sport the world over has been massive, and there is no denying the fact that they will continue to influence a lot of generations to come. The game that they challenged England in back in 1871 was the first international rugby match, and this is the cradle for other games to follow. They beat England in this game and this is what paved the way for other international games to follow. If it weren’t for Scotland challenging England to a match, there probably wouldn’t have been an international game for a long while. These are the pioneers of the sport as far as the tri nations are concerned, and the game owes a great deal to this country. An inaugural tournament was kicked off in 1883 and Scotland competed in this one. It involved Five Nations, and Scotland went on to clinch it a record 14 times, the including the last ever event of the Five Nations which was held in 1999. A sixth competitor was added to the fold, and this was Italy, but the impact of Scotland on this sport remains massive. The introduction of the Rugby World Cup back in 1987 has seen Scotland compete in all eight competitions, and this is a fete that not many can boast of. This is why this is a country that has a lot invested in this sport, and the significance and relevance of their continued participation in this sport are major to the survival of the game. These international competitions in the rugby world today exist because a few Scots wrote England a letter challenging them to the first international rugby match that was played in front of 4000 fans and Scotland won it. All this success in the sport, there is no denying the influence that this nation has had on this sport and will continue to do so for a lot of years to come. They are the country that brought together Five of the countries in Europe to compete in a tournament that sparked the relevance and dominance of the sport. If it wasn’t for that game against England, who knows if the sport would have emerged as one of the best sports in the world. Their role in making this sport one of the greatest is undoubtedly superior to most nations can even claim to boast of. Therefore, there is no denying that the country of Scotland has ad one of the most significant impacts in this game that can never be forgotten. Although they haven’t won the world cup yet, there is no denying that this is the cradle of international matches in this sport. For a fantastic place to get commercial garage doors in Canada check out Island Overhead Door! When you hear the word football, you probably automatically think of England and the English Premier League. While English have, without a doubt, influenced football like no other nation in the world, their northern neighbor Scotland are the final piece of the world football puzzle and, arguably, without the great nation of Scotland there would be no football as we know it today. Many of you reading this are not aware of the fact that what we today call football was played in Scotland as early as the 15th century. In fact, what’s today referred to as “medieval football” was a popular game in Scotland during the Middle Ages, especially among young people. It used to be played in the streets and out in the fields. Even young boys would play football in medieval Scotland and crowds would gather, people would cheer, teams would win and teams would lose. This impulse and love for football is an integral part of the Scottish tradition and that is the reason we have Scotland to thank for the most popular sport in the world. Over the years, football in Scotland has developed in many different ways, but some things have remained the same and they have become the trademarks of Scottish football. Many historians have noted that there is evidence supporting the claims that Scottish schoolboys played football almost on a daily basis, but what’s characterized Scottish football, ever since it’s beginnings, is the traditional Scottish fighting spirit on the pitch. Historians describe early football in the streets and out in the fields of Scotland as a rough, competitive, manly game. We can see evidence of this today. Scottish Football Association is not known for having teams that play technically superior football, that’s what the Spanish do. Scottish run, tackle, slide, jump and fight. This is part of the reason football is so popular in Scotland, even today. Almost every club in the Scottish Football Association has a devout, fanatical following. When talking about Scotland’s impact on football, it’s impossible not to mention the Celtic and Rangers game, as it is one of the biggest derbies in the world and for a good reason – these two clubs have a rivalry that reaches far back into history and games between these two football giants are, to this day, televised all over the world. One thing is for sure – in Scotland, football is still played the way it was initially meant to be played. Football is the quintessential working man’s sport. In the last couple of decades, footballers have become multimillionaires and football clubs are not football clubs any more – they are financial and marketing institutions. Capitalism is, slowly but surely, eating football, but Scotland has managed to stay away from that. Scottish football is still a working man’s sport. Scottish football players fight on the pitch, fans love and support their teams when they’re winning and when they’re losing with equal, unmatched enthusiasm. In Scotland football is still in it’s golden age. Maybe there are no players like Messi Or Cristiano Ronaldo In The Scottish Football Association, but who needs them when the referee blows the whistle and legions of screaming fans start chanting and singing passionately? That is something money can’t buy, that transcends football and that is, essentially, what sport is all about. Many thanks to our friends at NW Window Tinting for sponsoring our site! If you need the best window tinting service and clear bra Vancouver WA has to offer, please do check them out first – they are a pleasure to work with, and their quality is top notch!